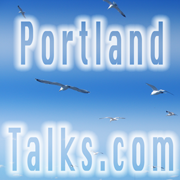 WHEN Thursday, 7 p.m.. WHERE Portland Expo Building; Portland, Me. RECORDS Charge 0-1, Red Claws 1-1. CHARGE PLAYERS TO WATCH. Name Pos. Ht. Wt. College. John Holland G/F 6-5 205 Boston University. Billy Preston F 6-10 230 Kansas.